Over the last 30 days since the start of the campaign, 477 companists have invested 193.810 Euro in Bier-Deluxe. We are pleased with this support and thank you for the trust you have shown in our team and in our work! Over the Christmas holidays and into the new year, we want to offer yet more companists the opportunity to become convinced by our business model, our team and our common vision - that is, to be the leading platform for craft products in Europe - and to invest in Bier-Deluxe. For this reason, we have decided to extend the campaign by a further 30 days. Beer has to be a good investment - Cheers! There’s always beer, but good beer is better and there’s nothing to beat exceptional beer. All the best! Beer rules the world, and you should too. Only beer can make thirst good! 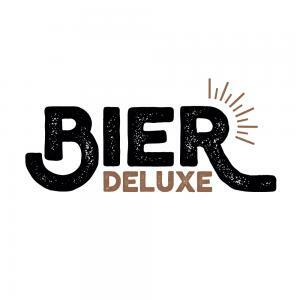 What else has Bier-Deluxe been doing? Wirtschaftwoche’s “Gründermagazin”, under the title "Craft Beer: Bier-Deluxe want to conquer Europe"
The 10 winners of our Bier-Deluxe Christmas raffle were announced last Monday and they each received a craft beer package. This week, to conclude our update, we have an interesting video for you of our craft beer tasting session in Barcelona. We wish all companists an enjoyable and relaxing festive period!